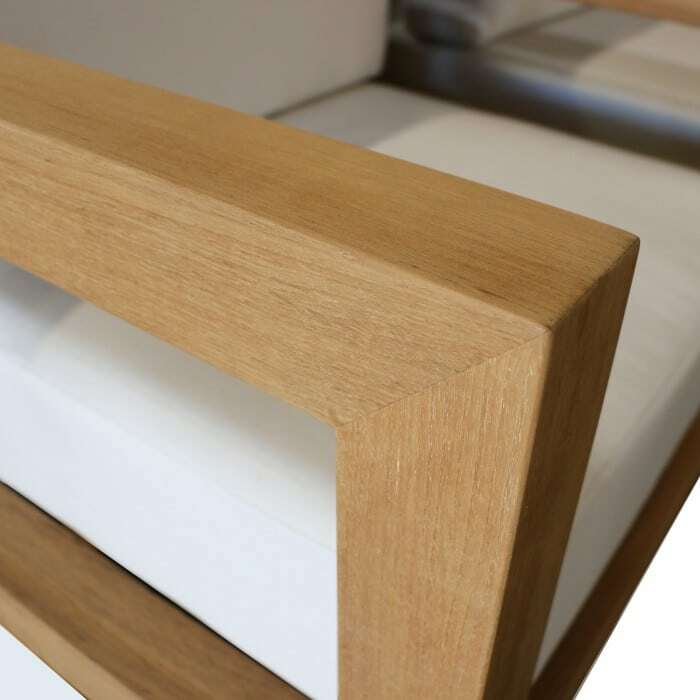 You want bold, but you aren’t willing to sacrifice comfort, and you want something that works well with your existing style and space. 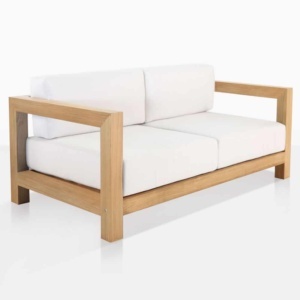 Enter the Ibiza Teak Sofa. 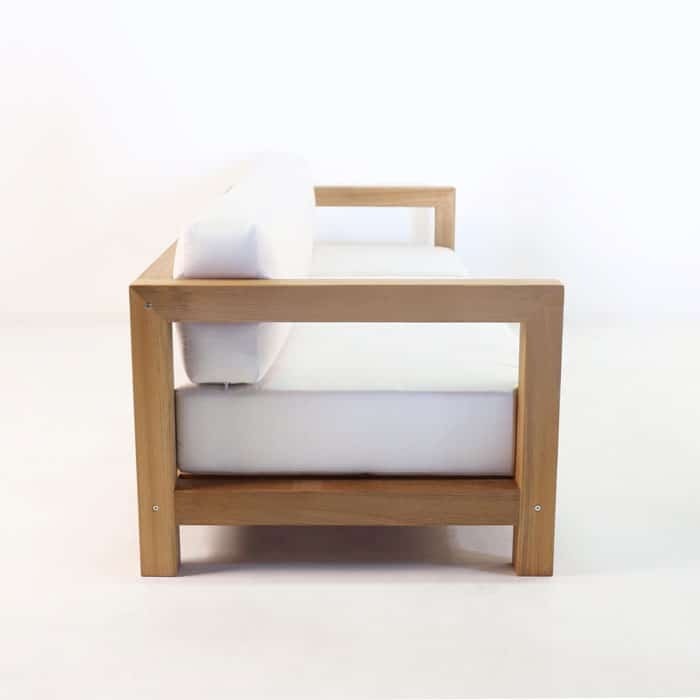 This three seat sofa is a masterpiece of all natural A-Grade Teak wood and high-tech Sunbrella® fabric, which combines to give a polished and beautiful seating surface. This teak outdoor sofa will easily impress, with the bold linear framework and the smooth, comfortable, fade resistant cushions. 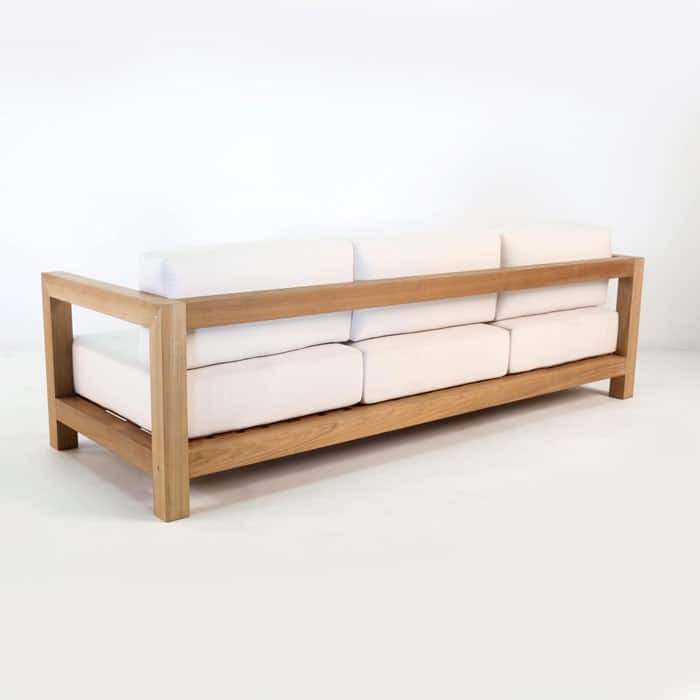 The natural materials used to make this stylish sofa are engineered to outperform in the most extreme outdoor conditions. 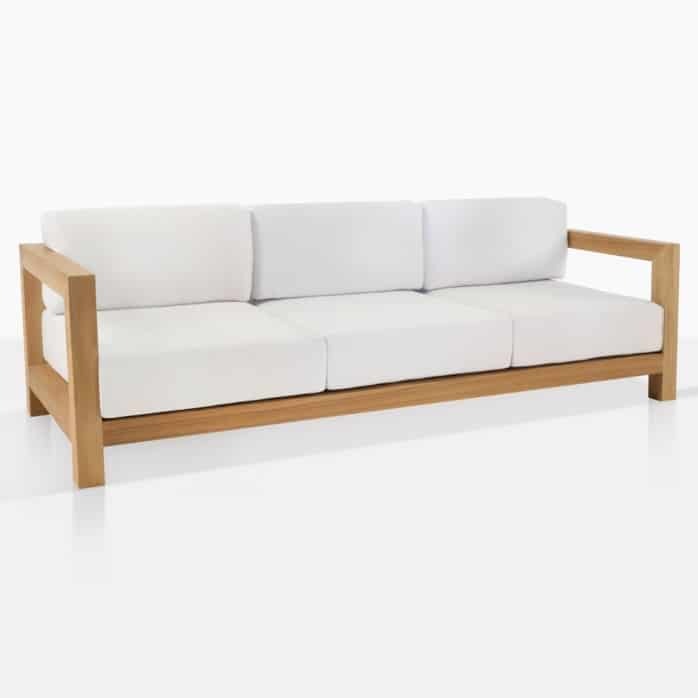 This means you can rely on the consistent beauty of A-Grade teak, and will be able to look forward to decades with this timeless outdoor sofa. Edgy, but inviting, this teak outdoor sofa is the perfect place to enjoy the cool night air with an upscale drink and some close friends. It’s got a vibe that says: the “party has just begun”, but also provides a classy and sophisticated edge that never once relinquishes its style and poise.